Is this possibly "Album Of 2015" already? Absolutely!!! The instant I played this album, I realised that I'd just had a Concorde moment... that moment when you experience a perfect second, minute or hour. 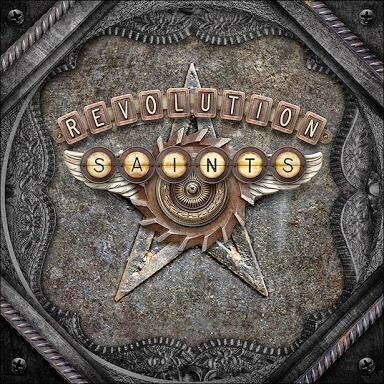 One that will stay with you forever and Revolution Saints has done that to me each and every time I have played it. 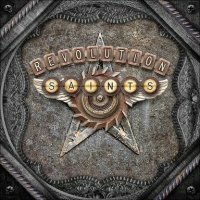 Now as you should all know by now, this album features the immense talents of Doug Aldrich, Jack Blades and Deen Castronovo so I won't dwell on that. What I will say is that out of everything these three musicians have done before, this could easily be their best work and as you all know who they've played with, that's saying something! Okay I will admit that "yes it does sound a lot like Journey" but seeing as Journey haven't put out anything this good in years, who cares? It isn't just a straight copy of that legendary group however; instead you will find elements of Melodic Rock and classic American Hard Rock nestling within the twelve songs that make up this self-titled album. This is all down to RS secret (well not really) weapon, Alessandro Del Vecchio. He has not only written or co-written all of the songs on the album but also given it a massive, and I do mean MASSIVE, sounding production. It is something that stuns you each time you get to hear it and he really is the unsung star of this release. As for the actual songs, they say everything you ever could about Melodic Rock/AOR because they easily epitomize all that is excellent about this genre. As you listen to each of the songs, I promise the hairs will stand up on the back of your neck while the goose bumps run wild over your arms; this is always the signal that you're in the presence of something really quite extraordinary. 'Back On My Trail', first video 'Turn Back Time', 'Locked Out Of Paradise', 'Don't Walk Away' the stunning 'Strangers To This Life', 'How To Mend A Broken Heart' and the gorgeous 'In The Name Of The Father (Fernando's Song)', which is probably the best ballad of the last few years, are all tracks that overwhelm the senses and always leave you wanting and needing more. There's also the added bonus of these songs being sung by a man whose voice just has to be heard to be believed in Castronovo. We all knew he could sing but wow, he's just incredible on this album and someone should lock up his drums for a while and make him (only) sing more often (with a shotgun if necessary). Thankfully Aldrich, Blades and Del Vecchio aren't too far behind him in their passion and drive for this album and its music either. Usually about now I'd try to persuade you to buy this album - but what's the point? If you don't buy it then you really don't like Melodic Rock/AOR and you're definitely reading the wrong magazine or website. Is this possibly "Album Of 2015" already? Absolutely!!! Sorry to go off topic, but is this the same Ian Johnson I used to work (turn up) at GUS with?? ?